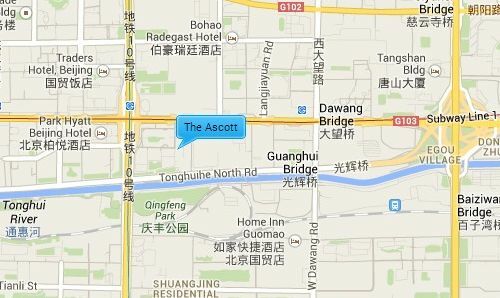 The Ascott located in central Beijing within the business section is an ideal option for executives or travelers looking for an affordable short term alternative to a luxury hotel in the city. It gives a sense of refinement and style through its new-Asian architecture and art work to its spacious and stylish apartments with fully equipped kitchens and elegant furnishing. The apartments range from a 105sqm 1 bedroom layout to a 380sqm 4 bedroom layout. Located right by the Guomao junction on the 3rd ring road right next to the popular CBD area, which has a large range of restaurants, shopping malls, cafes, supermarkets and banks. It is very near to the China World Center and a major embassy area.